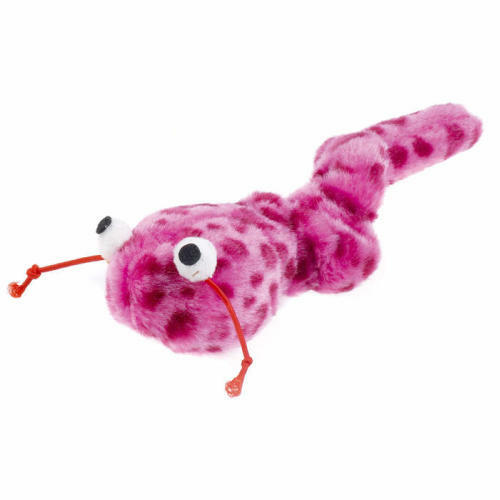 The Classic Trembling Worm Cat Toy is a super fun and interactive toy that's bound to send your kitty wild! Simply pull the Trembling Worm's tail and watch it race across the floor! Perfect for promoting exercise and great fun for your kitty. Please note: Colours may vary between pink, orange, green and blue.